ACROSS AN EMPTY LOT: a temporary memorial to the empty space. 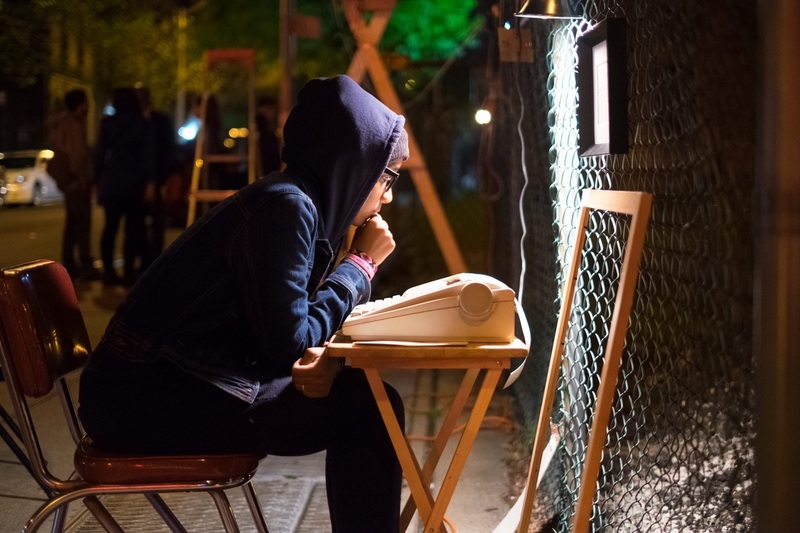 Created in collaboration with the artist’s neighbors in Sugar Hill, Harlem, ACROSS AN EMPTY LOT: a temporary memorial to the empty space marks the present moment by honoring the empty space that will soon be gone and the life that surrounds it. 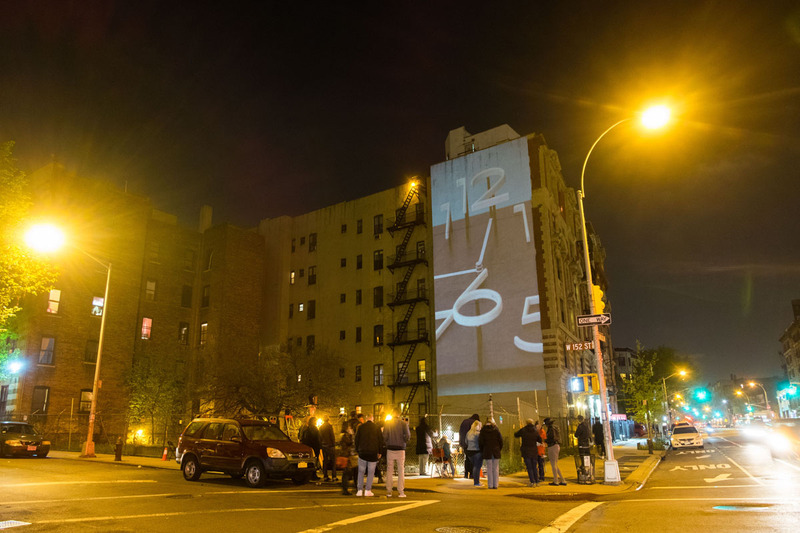 A continuous, large-scale video projection activates the century-old wall of 849 Saint Nicholas Avenue. The footage is captured from within the community and depicts local plants that will lose sunlight, hands in connection to the physicality of a wall, eyes that will witness this change and clocks that slowly track the time. 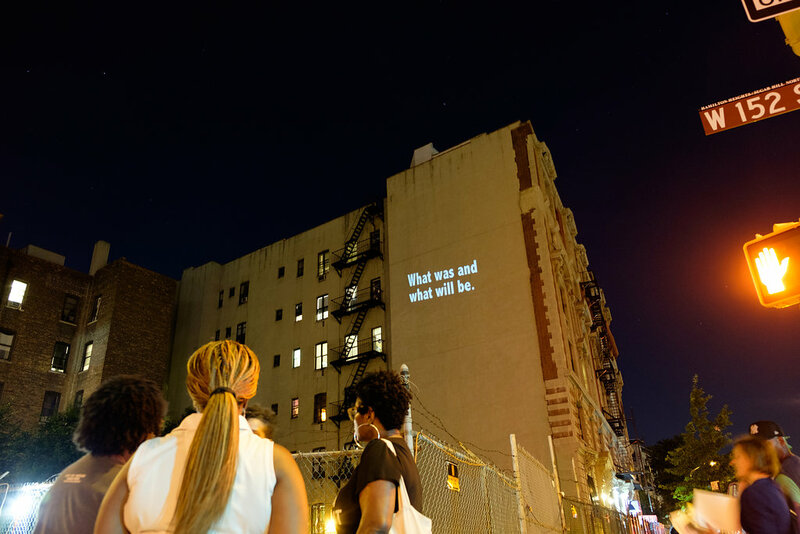 Text is collected from passersby who are asked to imagine that the wall has lived through over 11 decades in Harlem, and what it might say if it could speak. 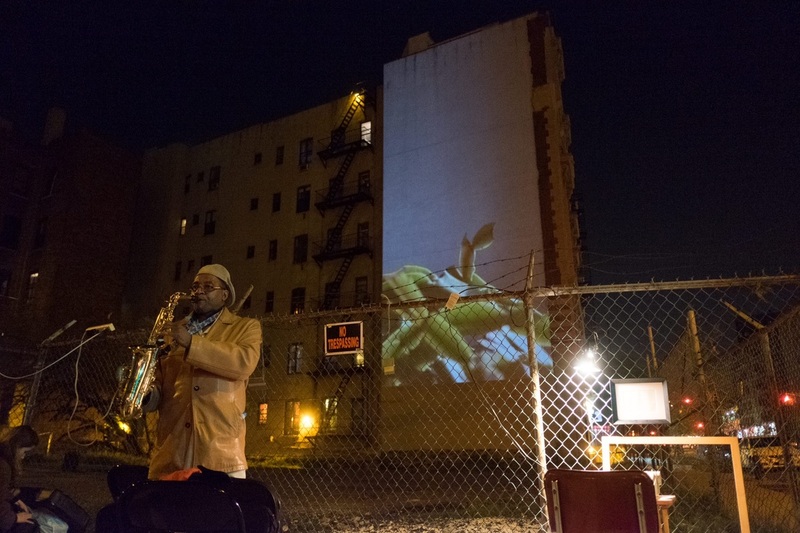 The video content accumulates throughout the project’s duration, creating a temporal portrait of the neighborhood and igniting a communal urban space with dialogue. This work was initially created and exhibited over the course of seven nights in spring and summer, 2016. A reimagined version of this project is in process, and happening October 3, 12, 16, 26, 2018 under the new title, LOT REIMAGINED: a temporary memorial to what was, is, and… This version is made possible in part with funding from the Upper manhattan Empowerment Zone Development Corporation and administered by LMCC.